Hey y'all, i'm new to the forum! About a month ago I went to the boat show at the BJCC in Birmingham, AL. I was checking out the Moomba and Supra boats when I was greeted with Dan Miller, VP of Sales with Skier's Choice. He never told me who he actually was as I had only learned this later on the following days when a salesman reached out to me. I just thought he was some local salesman that came off as really down to earth. Dan sat down with me and went over everything I could have ever wanted to know about vdrives and modern tow boats, Supra and Moomba history.....everything. This guy was very knowledgeable and extremely patient to go over all the stupid little questions I was asking . I'm coming from a Yamaha jet boat so this is all new territory for me as you can imagine so I had a ton of questions from maintenance and drain plugs to surf and tech stuff. After speaking with him for easily 20+ minutes or so another family came in wanting to look over the boat so I figured it was a good time to dip out and thanked Dan for all the time he gave me one on one with the boats and brands. Again he's a super nice guy! I put down my info and expressed I'd like to do a demo ride when the weather was decent. Went home and drooled over brochures from all brands and models. A few days go by and Greg from Skier's Marine from Skier's Marine in Harpersville, AL calls me. He said Dan had mentioned me from the boat show and that I had showed a lot of interest in the Max and that I was wanting to set up a demo ride. Well today was a decent enough day after already having to reschedule once for crap weather last week. The Max I saw at the boat show was white with black lower hull but today's boat was a beautiful red metalflake with black lower hull, similar to how I had spec'd one out on the Moomba web site. The boat looked really sharp!! I know the look is a bit controversial to some on here but for me I dig the squared off look and deep look and the wide bow was really nice! The conditions today were with a stiff wind on the water and we've had rain for days so it wasn't all that clean but that wasn't going to stop me from having a good time. I gotta say I was really impressed with the boat! I can certainly see myself upgrading to one in a year or so once I have room to store it. My jet boat isn't great for surfing due to all the jet wash to contend with and once I tried surfing I was hooked so I'll need a proper boat to really enjoy it. There are not a lot of videos out there or information about this boat up close with it so I figured I would bring my GoPro with me today and record some footage of the demo, Greg going over the boat with me, learning how to drive a vdrive inboard coming from jet, testing out the wake and surf wave at various settings and speeds. Maybe someone else out there is looking for similar video or information. Greg even talked me into retrieving the boat to the trailer by myself while he watched from the truck which I gotta say was pretty exciting and nerve racking at the same time having never driven a boat like this!! In the end it wasn't so scary or bad and it was cool to learn how to use reverse the "auto rotation" of the boat to your advantage around a dock. Anyways I'm rambling now . I apologize in advance for the GoPro being sensitive to the pole mount and the wind at times. It's a long video (22 mins) but he goes over a lot of aspects about the boat explains what we are doing each run and messing around with the plate settings changing the face of the wake or surf wave. Also if you don't feel like sitting through 22 mins of video (I can certainly understand, especially since you guys are familiar with these boats ) then here is a condensed video of just the wake and wave action with some music so you don't hear the GoPro popping or wind. Looks like you had fun! With more dialing and more weight that hog will do so much more than that I reckon. Thanks for shooting the video. I can't wait to see what the Max can do when more people get a chance to play around with them. Yea it was a great time aside from the windy conditions. Happy to shoot the video since there just wasn't much out there on YouTube about this boat with its wake and surf wave. Again I apologize for the crappy audio thuds, pops and such. My GoPro 4 has become real sensitive for some stupid reason. I was pretty amazed at how well the wave and wake looked with just the two of us and stock ballast. Greg was 6'5" I think he said and not sure of his weight but I'd guess around 200 and I'm a chunky dude at 5'10" 235 lbs. Even with empty ballast it made for a clean wake with a little pop. I don't really care too much for wake boarding as I've never tried it and feel like I'd kill myself or blow out my knee lol so surfing and chilling in a cove is more what I'm into but it was nice to know the boat without ballast would be safe and fun enough for little kids to play on. We have a 8 year old daughter so I could see her having a ball back there lol. I really want to get this boat but right now I have no place to store it in my garage and I'm not even sure if my 2010 5.4L F150 FX2 would pull such a boat. It has the highest gear ratio that was available for that year so it doesn't pull that great even with my 19' Yamaha AR192 jet boat which I think with my galvanized trailer and all would be around 4,000 lbs or so. Much less than the Max and its trailer but it is dual axle and mine is single so maybe it rides and pulls better? So likely I'll wait until we move into our next house with a garage big enough for a tow boat and then by then I'll hopefully have sold my jet boat private party. We ran some numbers for trade in and such and the market for jet boats take a beating for depreciation so selling out private is the way I'll need to go. Overall I came away really impressed with the Max and could see it as my next upgrade. I also liked the traditional look of the Craz but man the Max just offers a ton of space, storage and ballast capability. I also liked the little things like being able to access the large glove box from the side of the helm and also that the walk way was padded which saves the gelcoat from those scuffs going to the bow. I think it has a ton of potential for building a massive surf wave and good wake when you load it up with people and even if it's you and a buddy or two the wave will still provide enough power and push to have fun. I wished it wasn't cold water and I had a wet suit and could have played on the surf to get a feel for it. I'll take another demo ride in the summer and will for sure try out the wave! Last edited by haknslash; 02-17-2018 at 11:51 AM. 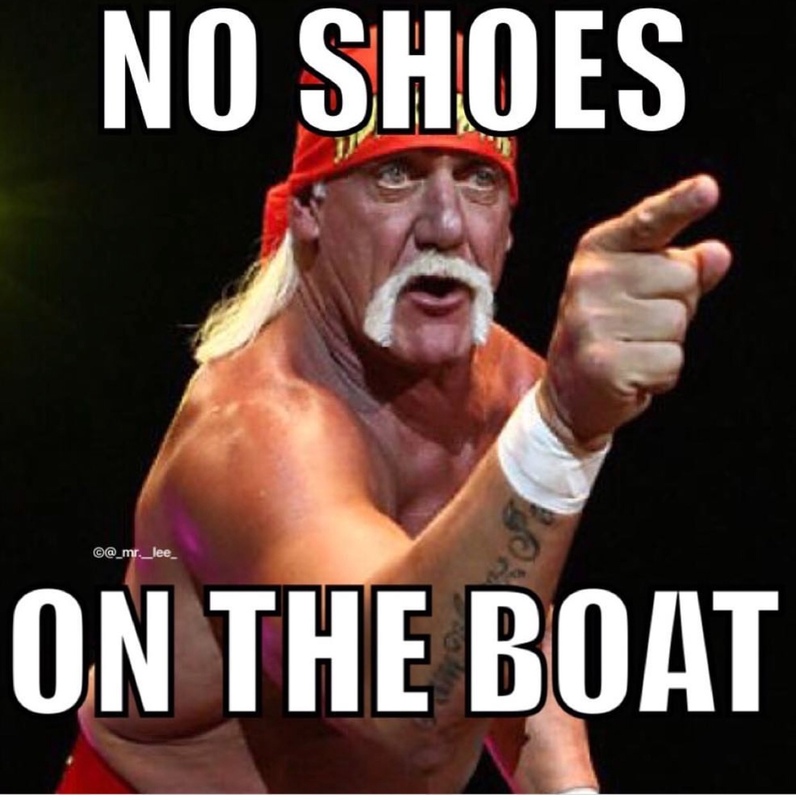 Huge pet peeve of mine when dealers let people wear shoes on the boat. Even bigger pet peeve when they are wearing shoes on the boat 臘*♂️. Second off.... beautiful boat & I’m pretty sure you, your family & friends will have 20k more fun than your Yamadogger. Yea I'm sure we will have a blast on this boat or any surf boat over my Yamaha!! My wife never grew up a water bug or river rat like me so she could really care less about surfing but I'm trying to tell her it's a ton of fun and nothing to be scared about. I think her biggest fear is getting hit by the board when she falls. I kind of wished we had took an extra 1000 lb bag with us to simulate more people on board but I can already tell this boat seems to have a ton of wave potential just from us two being in the boat with stock ballast! I've sen the Polar Bear surf event video with the Max that had added bags piggybacked off the other bags and the wave looked really impressive! Last edited by haknslash; 02-17-2018 at 01:19 PM. It's actually easier to clean up dirt than the oil from a person's feet. I am not sure fussy on shoes. As long as they’re clean of course! Just don’t step on the seats if you can help it. Step on a towel or something. Good video, Thanks for the post, I'm excited to see all the info/ reviews that will come out on it this year with a full season coming up. Absolutely on my list of Demo's this year.